For the ultimate in Extreme Home Theatre, the formidable new Ci R Series has the jaw-dropping acoustic capabilities of the classic KEF floor stander it’s named after, with all the drama and emotional intensity of full theatre sound quality. The Ci R Series consists of an in-ceiling speaker that can be combined with one of two in-wall models, and a sensational new powered subwoofer. As you might expect, its towering performance sets a new standard for custom installed speakers. With a 38mm(1.5inch) tweeter voice coil coupled to a vented aluminium dome with tangerine waveguide, and a woofer with absolutely massive magnet and Z-flex surround, the KEF Ci200RR-THX is an in-ceiling LCR capable of delivering a magical musical theatre experience even in the largest of rooms. 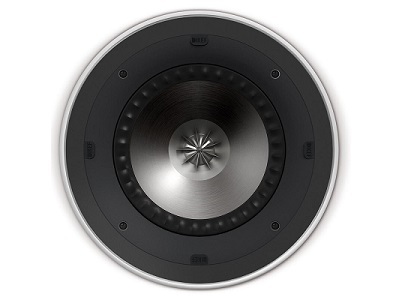 Ci200RR-THX is an in-ceiling speaker certified to THX ULTRA2 standard. 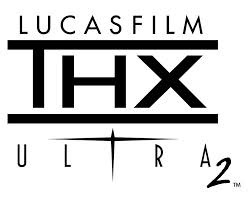 A deep understanding of the film making process and surround sound is at the very heart of every THX certified 2.1, 5.1 and 7.1 speaker system. Engineered with design characteristics of professional studio speakers, THX recreates the tonal balance of the filmmaker’s final mix in your living room. The results? Action sequences are impactful, and dialogue-driven moments are natural and engaging. THX certified in-ceiling speakers deliver the appropriate frequency response and high output and imaging quality of a traditional box speaker. This provides the best of both worlds—THX surround sound performance from components that blend harmoniously with any room decor. 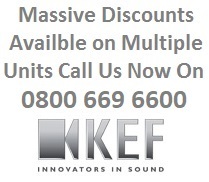 Purpose built for flush mounting into walls and ceilings these are the latest addition to the KEF Uni-Q Custom Installation series. Providing a compact solution to the problem of Hi-Fi quality sound from an in-wall/ceiling speaker, the Ci200RR-THX consists of a polypropylene cone LF driver with the HF unit mounted at the acoustic centre of the LF unit. The bezel and grill can be painted to match the interior décor. The Ci Series Ci200RR consist of: 1 X 38mm aluminium dome tweeter 200mm polyproylene cone with double neo compound magnet system. Performance of the Ci200RR shall meet or exceed the following criteria: frequency response 1 metre on-axis with swept sinewave shall be 33Hz to 28kHz , sensitivity shall be at least 90dB for 2.83V@1m. The 2.83V@1m. The driver impedance shall be 4 ohms.